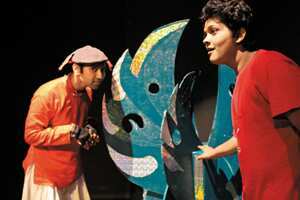 Suar Chala Space Ko: The play has elements of science fiction and fantasy. 3.30pm. 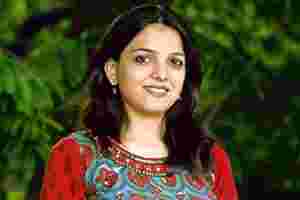 Ranga Shankara, 36/2, 8th Cross, 2nd Phase, JP Nagar (26592777). Tickets, ₹ 100, available at the venue and Bookmyshow.com. For details, call 9008019831. See how garbage, with some creativity and innovative thinking, is reused. A travelling exhibition of lamps and fashion accessories created from waste material is being spearheaded by designer Jenny Pinto. A number of designers display their works of art and light at this exhibition, displaying lamps made from trash. See how used PET bottles, Tetra Pak, glass bottles, wire, cables, paper and industrial waste can be transformed to decorate a room. Participants at the workshop that led to the creation of the works on display at this exhibition include product designer Atul Johri, textile designer Jayshree Poddar, fashion designer Anshu Arora and ceramic designer Devika Krishnan, among others. 7pm. Olive Bar and Kitchen, Wood Street. For details, call 41128400, 9945565483, 9880710710. As part of the Bengaluru Recycling Habba 2011, this panel discussion revolves around a critical question—how far are manufacturers and producers responsible for the things they make? And should they be held responsible for the environmental and social impact of their businesses? Extended producer responsibility (EPR) is a powerful policy instrument that can hold manufacturers responsible for both the upstream impact inherent in the selection of materials and processes and downstream impact from the use and disposal of products. Can this become a law in India? Participants include a member of the Supreme Court committee for solid waste management, Almitra Patel, environmentalist and former chairman of the Karnataka State Pollution Control Board Sharat Chandra, as well as representatives from the government, academia and industry. 2.30pm. The Chancery, Lavelle Road. For details, call 9880710710 or 9916102848. After looking at Palestine, Iraqi Kurdistan and Kabul, this monthly forum turns its focus on Kashmir, to reflect on creative practices in places of conflict. Delhi-based artist Inder Salim, who was born in Kashmir and is known for his experimental art and engagement with the troubles in Kashmir, will talk at the session. Also featured will be visual excerpts from the graphic novels of Malik Sajad, whose work aims to explore the desolation caused by war. The session will conclude with a performed reading of passages from Mirza Waheed’s debut novel The Collaborator. 4.30-7pm. Rafiki workspace, KK Foundation and Public Charitable Trust, opposite Al Ameen Hospital, Miller’s Tank Bund Road, off Cunningham Road. For details, call 9880755875 or 8105675350 or email at info@maraa.in and visit Maraa.in. Shubha Sridhar, a student of Padmini Ravi, will present a Bharatanatyam recital divided into two parts using the governing principles of Bharatanatyam stylization. The first part of her recital will adhere to the principles of Natyadharmi, and will feature highly stylized interpretations of Bharatanatyam’s movement vocabulary, through items such as the pushpanjali, an invocatory item, and the varnam, a central, emotive item. The second part will follow Lokdharmi, a less stylized, folksy approach, and will feature items such as a Marathi Abhang (devotional song) and Javali, a pure-dance sequence. Sridhar will conclude the evening’s recital with a Nataraja Kriti, a devotional song. 6pm. Yavanika, Directorate of Youth Service Centre, Nrupathunga Road (22214911). In its third edition, the festival will put the spotlight on alternative and new music from all over the country. The line-up includes Jass B’stards, Adil & Vasundhara, and Peter Cat Recording Co. from New Delhi, The Bicycle Days and Schizophonic from Bangalore, Adam & The Fish Eyed Poets and Mushroom Lake from Thrissur. In addition, there will be art installations and food stalls. 11am-11pm. CounterCulture, Whitefield Road (41400793). Tickets,Rs 850, available at the venue, www.indianstage.inand www.bookmyshow.com. For details and tickets, call 9945058293 or 9902772940. Synchronous Objects is an interactive screen-based work developed by American dancer and choreographer William Forsythe, Advanced Computing Center for the Arts and Design (ACCAD) director Maria Palazzi, choreographer and arts researcher Norah Zuniga Shaw and a team of interdisciplinary collaborators at the ACCAD at Ohio State University. This installation is being organized in collaboration with the Attakkalari Centre for Movement Arts, where visitors will encounter the deep structures of cross-discipline choreographic thinking and the resultant dance masterwork ‘One Flat Thing, reproduced’ by Forsythe’s Ballet Frankfurt that was premiered in 2000 in New York City. The installation, designed by Shaw, brings to visitors a special experience of the work through interactive kiosks, a series of selected animations in HD video, and a multi-channel immersive sound experience. 2-7.30pm. Goethe-Institut/Max Mueller Bhavan, 716, CMH Road, Indiranagar 1st Stage (25205305). Driven by what artist Raghava K.K. described as a “diasporic dilemma", the works in this exhibition are collage-like watercolours which explore the theme of identity. Many of the paintings have been driven by Raghava’s emigration to New York in 2009. Raghava finds a metaphor for his emigration in Exquisite Cadaver, a 19th century parlour game in which a sentence is created by passing around a piece of paper among a group of people, each of whom writes something without knowing what the previous contribution is. The fragmented construction of Raghava’s paintings—such as A Gallery of Adorable Boundaries, in which beasts and men merge together to form a hybrid creature—find resonance in the name of the exhibition. 11am-7pm. Art Musings, 1, Admiralty Building, opposite Dunne’s Institute, Colaba Cross Lane, Colaba (22163339, 22186071). Promoters Submerge bring DJ Richard Durand and vocalist Julie Thompson to launch the Dutch DJ’s new compilation album In Search of Sunrise 9: India. Durand only took over the popular In Search of Sunrise series, which releases compilation albums related to electronic music destinations around the globe, from his mentor Tiesto last year. For his second instalment, he chose India as his theme. This means we can expect a DJ set filled with the sun-kissed vibe characteristic of the In Search of Sunrise releases, along with a bunch of booming anthems normally favoured by Durand. 10.30pm. Blue Frog, New Mahalaxmi Silk Mills Compound, Tulsi Pipe Road, Lower Parel (40332300). Entry charges,Rs 500 per person. Preferably make prior reservations. Pakistani artist Huma Mulji, who also teaches art at the School of Visual Arts, Beaconhouse National University, Lahore, presents her debut solo show in India at Project 88. Titled ‘Twilight’, the exhibition borrows its title from the time of day that Mulji describes as “a slow approaching of the end of time and the suspension of all optimism", in an attempt to explore “urban ennui and dystopia". 11am-7pm (Tuesday-Saturday); 2-7pm (Monday). Project 88, BMP Building, NA Sawant Marg, near Colaba Fire Station, Colaba (22810066). An origami community is gradually taking shape in Delhi, thanks to the Origami Oritai, India club. Cranes are symbols of peace in Japan, and they’re central to the Origami Oritai exhibition. “Love and peace" is the theme of this year’s exhibition, organized in collaboration with the Japan Foundation. Origami Oritai means “to want to fold paper", and judging by the response to the club since it opened in 2009, it seems to be a common desire. At present, the club has more than 100 members. This year’s exhibition will be preceded by a day-long workshop by mathematician, writer and origami theorist Toshikazu Kawasaki, better known to origamists as the creator of the Kawasaki rose. 10am-6pm (closed on 6 and 10 November). The Japan Foundation, 5-A, Ring Road (near Moolchand Metro station), Lajpat Nagar-IV (26442967). A collection of recent animated films from the US, part of the Delhi International Arts Festival. Steve Carell is the voice of Gru, a suburban supervillain with an underground lair populated by hordes of yellow, braindead minions. 1 hour, 35 minutes. An instantly recognizable Jesse Eisenberg gives his voice for the character Blu, a macaw who can’t fly but has an easy life in Minnesota, US, in the care of a bookstore assistant, Linda. 1 hour, 36 minutes. The film is a 3D Disney adaptation of the Rapunzel story. The title refers not just to our protagonist’s hairdo but also to her complex personal life. 1 hour, 40 minutes. A mix of live action and computer graphics, or CG, animation, the film is about young rabbit EB (Russell Brand)—heir to the Easter Bunny crown— who, on the eve of assuming the mantle from his father (Hugh Laurie), flees to pursue his dream of becoming a drummer. 1 hour, 35 minutes. Existential Westerns are nothing new, but it’s hard to recall one in which the conflicted hero was a chameleon. Johnny Depp voices Rango. 1 hour, 47 minutes. Save the river: The Yamuna-Elbe art exhibition opens on Wednesday. 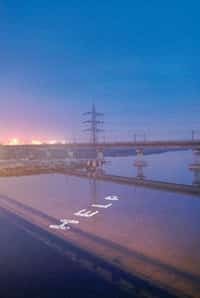 A Yamuna-Elbe public art exhibition—part of the “Year of Germany in India" programme—will open in the Capital on Wednesday. On display will be works by artists Nana Petzet, Jochen Lampert and Clegg and Guttmann from Germany, and Gigi Scaria and Atul Bhalla from India. Ravi Agarwal, artist and director of activist organization Toxics Link, is the curator for the show’s New Delhi segment. A series of events, including debates and walks, are planned at different venues. Silk painting is the art of applying dyes on silk. Radha Reddy paints on habotai and raw silk using a combination of imported French dyes, processes, fabric paints and oil pastels. 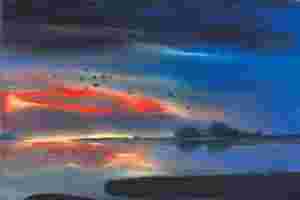 A self-taught artist, her paintings mainly comprise four themes, all related to spirituality. 10.30am-7.30pm. Chitramayee State Gallery of Fine Arts, Road No. 1, Kavuri Hills, Madhapur. For details, call 9848049636. Black and white: Rituparno Ghosh’s Dosar at Prasads Preview Theatre. Prasads Preview Theatre, Road No. 2, Banjara Hills. Passes available at Alliance Française, Kalakriti art gallery and Goethe-Zentrum from 4 November. For details, call 27700734 or email afhyderabad@eth.net. Sample food inspired by the night markets of Taipei, Singapore, Hong Kong and other Asian cities. 7-11.30pm. MoMo Cafe, Courtyard Hyderabad, Tank Bund Road (27521222). Entry, ₹ 900, including taxes. Tribute to Tagore: By Paresh Maity. The Calcutta Rowing Club is holding an art camp and exhibition to celebrate 75 years of Dhiraj Choudhury, in participation with young artists of India. Choudhury is an eminent painter who has also taught at the College of Art, New Delhi. Painters from all over India are showing their work at the exhibition. 11am-6pm, Lawn of Calcutta Rowing Club, 15, Rabindra Sarobar (9831768200). Durgadas Smrity Sangha presents this play by Harimadhav Mukhopadhyay. It revolves around Umasasi, who finds one morning that her husband has left home without a trace. To save face, she concocts a tale of how he is on a pilgrimage to Haridwar. A collection of watercolour paintings by Kolkata-based Subir Dey is on display, in association with the Calcutta Arts Club. Dey is passionate about traditional, mythological paintings such as Kalighat Patachitra, Madhubani and cave paintings. The paintings in this exhibition depict the various objects Dey associates with his childhood, such as the old telephone, piano, radio, etc. 11am-7pm, Sundays by appointment. Vinnyasa Premier Art Gallery, CIT Colony, Mylapore, (24982515, 32533655). The Akvarious theatre group will present an educational and fun play through the story of Peter Pan. With some creative storytelling techniques and improvisations, the play seeks to inspire young minds to take an interest in fine arts and theatre. The play, in English, is directed by Akash Khurana. 2 hours.